Market Finders, an ESOP Company specializing in surplus lines and special risk coverages, was established in 1972 by Mr. James Ryan. 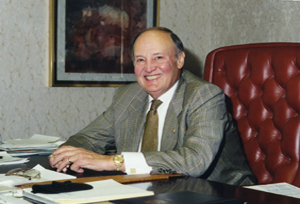 Mr. Ryan served as Chairman and President for 45 years. MFIC started off initially as a small state brokerage agency located in Louisville, KY. The corporate headquarters still remains today in Louisville. Over the years, the company has grown into a nationally recognized and respected surplus lines wholesaler. With two separate underwriting branch offices, MFIC currently operates as a regional broker focusing on a seven-state area covering the Southeast and Midwest United States. However, many of our products can be written nationwide. As Past President of the AAMGA, Mr. Ryan was extremely active in both NAPSLO and PLUS Industry Organizations. Market Finders also belongs to and supports the various PIA and “Big I” state associations throughout the states in which we operate. For over 45 years, Market Finders has maintained excellent business relationships with some of the nation’s top domestic and Lloyd’s special risk markets. All of MFIC company partners are very sound, reputable markets. We pride ourselves on being the largest independent E&S wholesaler in Kentucky, and one of the top brokers in the Midwest. We strive to be known as a company offering excellent service to its companies and agents, and endeavor to operate with the utmost integrity. By operating in this manner and by exceeding the expectations of its insurance partners, Market Finders will achieve its long-term goals for growth and profit. We look forward to the opportunity of continually serving our clients with quality products, innovative solutions and extraordinary service.